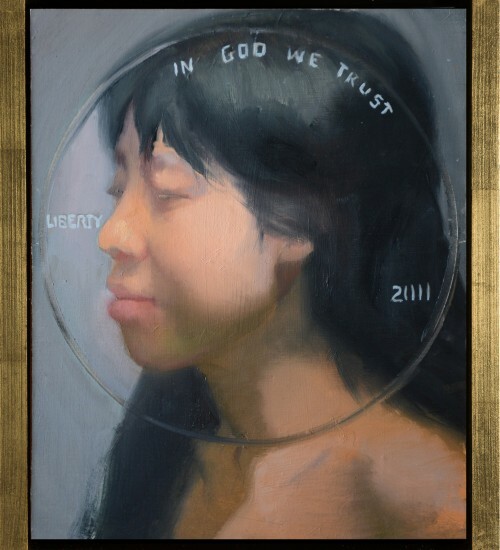 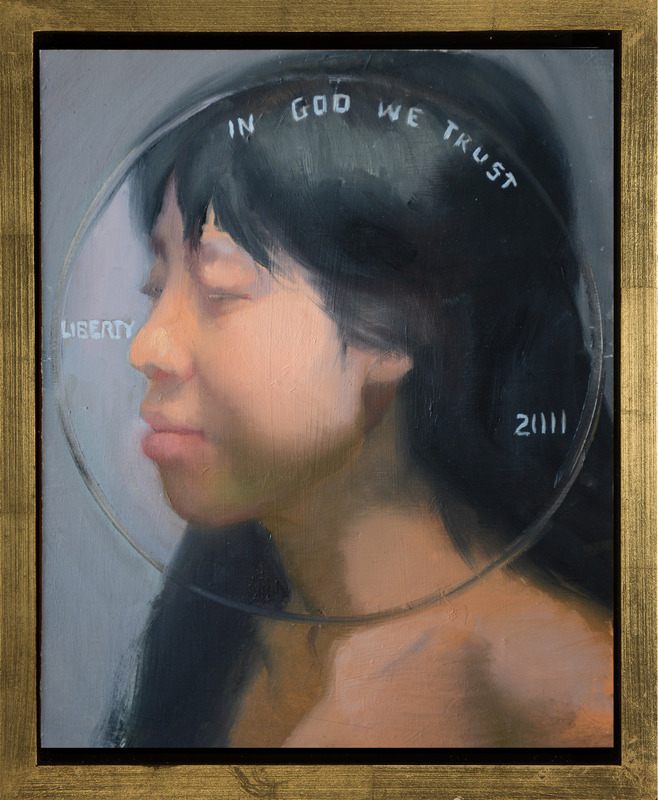 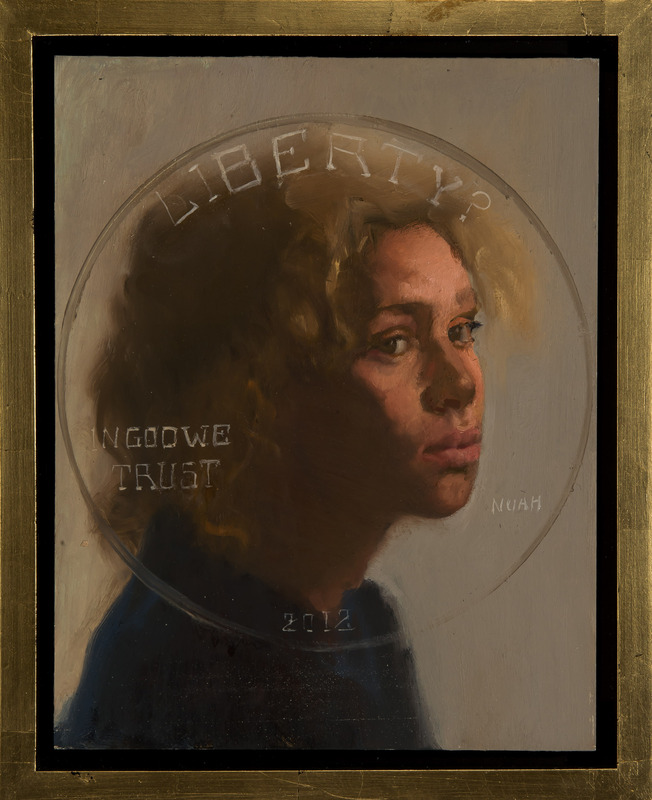 This work initiates a conversation about individual value and our sense of self worth. 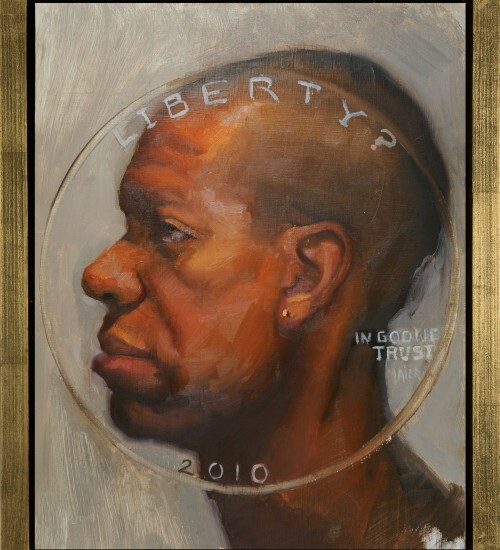 It explores how seeing ourselves in a positive light can increase our value as helpful members of society. 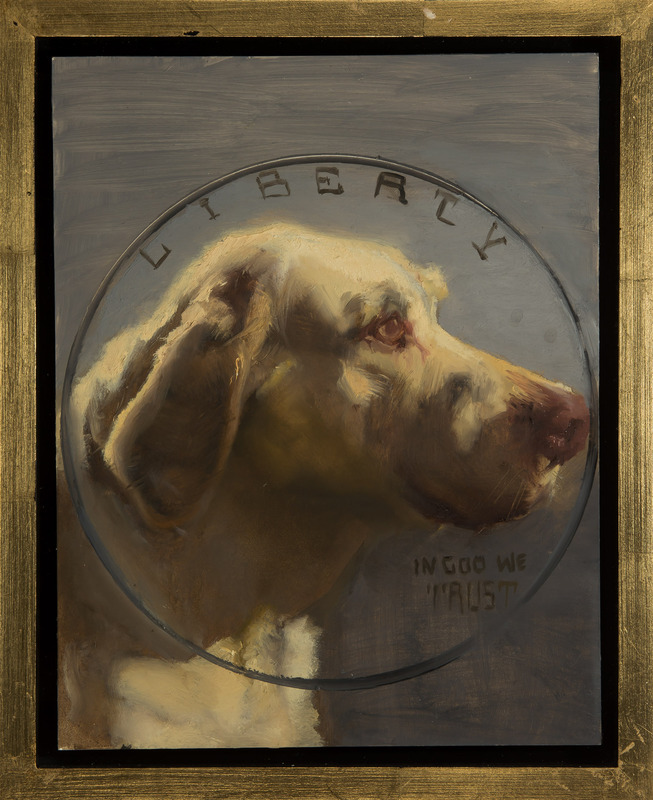 The work poses several questions. 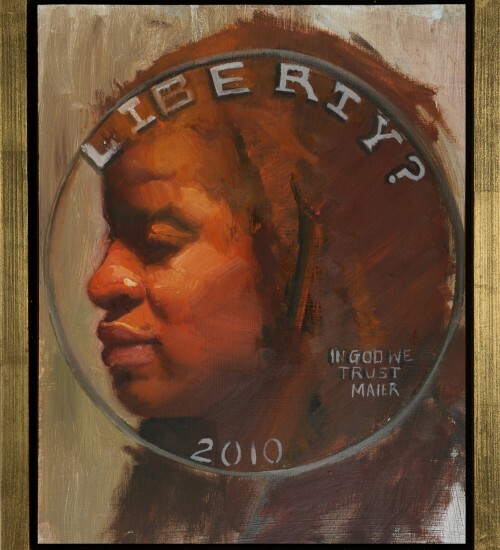 Can achieving our highest self be our maximum currency? 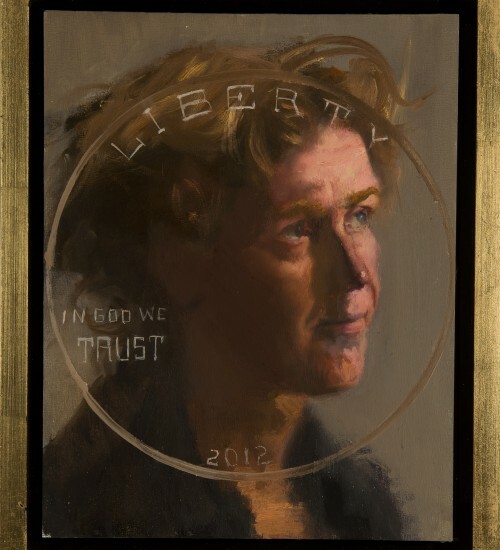 Can everyday life be thought of as spiritual currency? 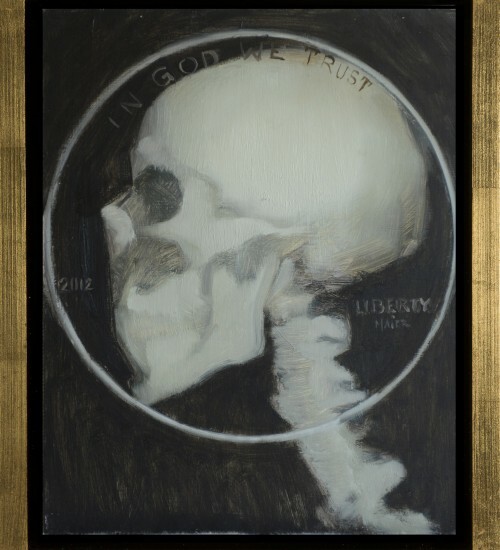 “Currency” consists of a series of paintings, 11×14″. 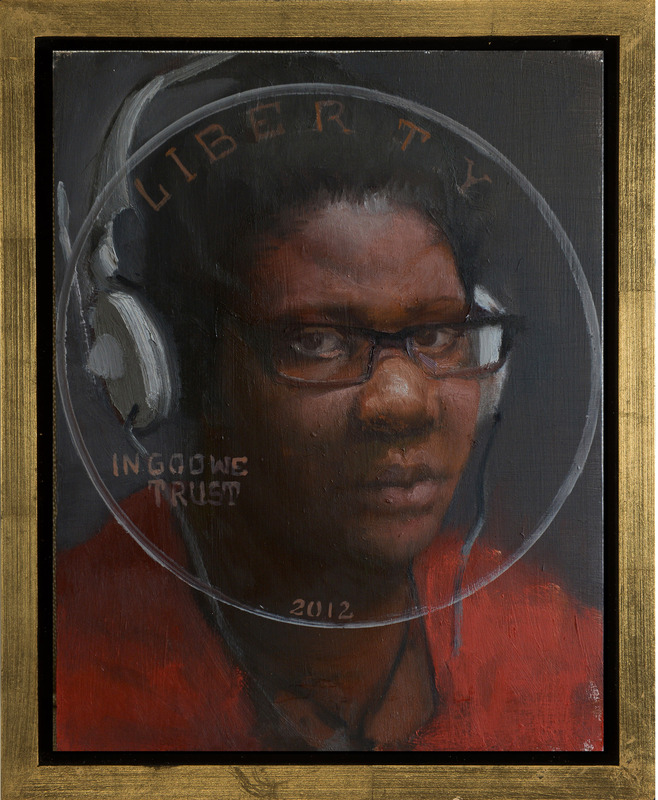 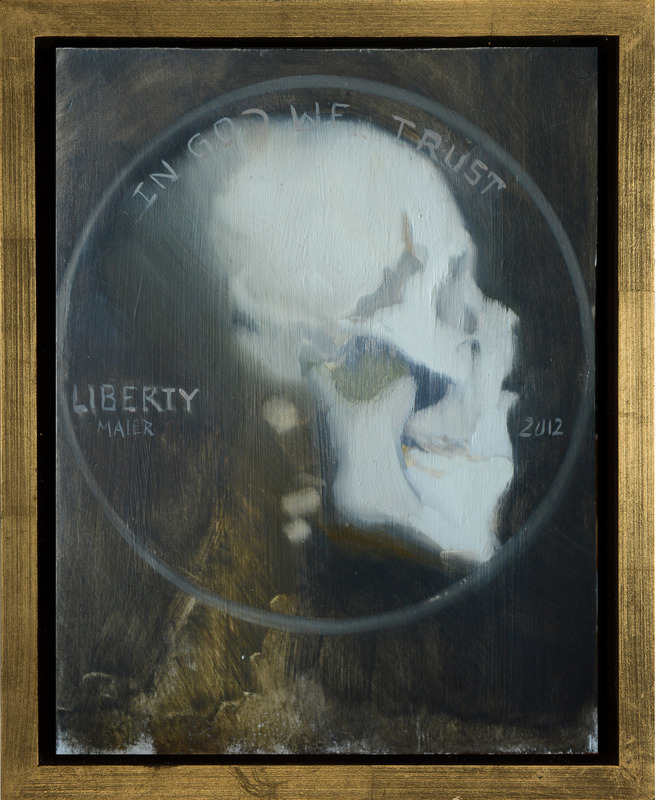 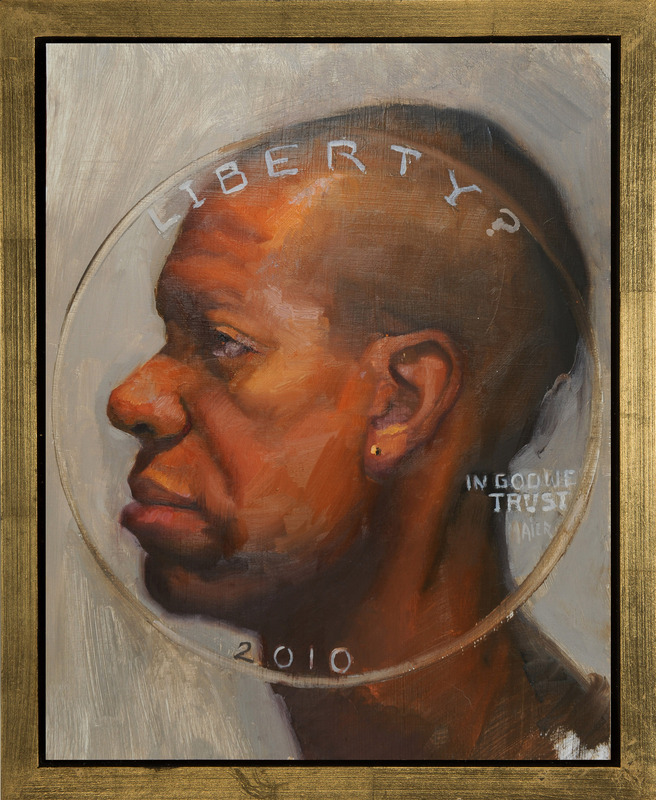 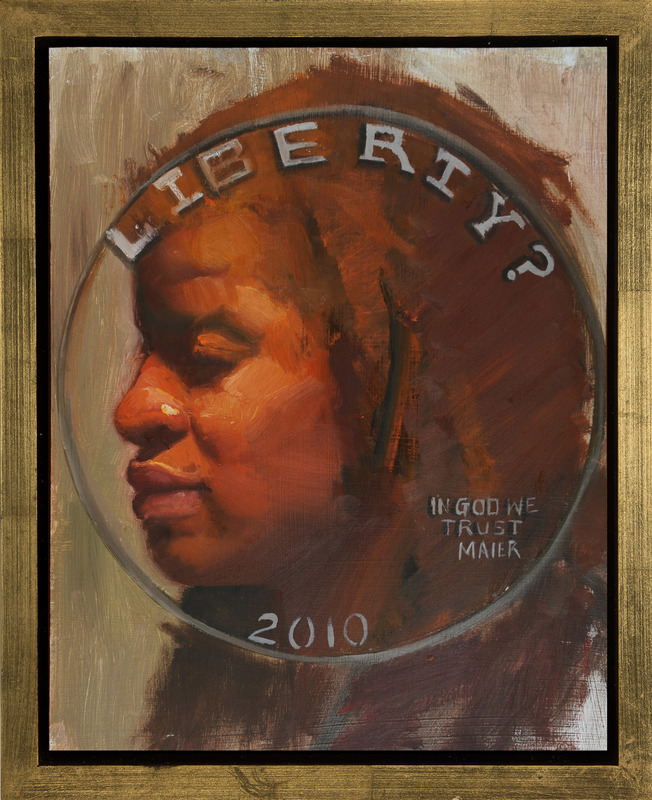 Each painting is a portrait with a coin drawn around it with the words of our familiar 1, 5, 10, and 25 cent coins. 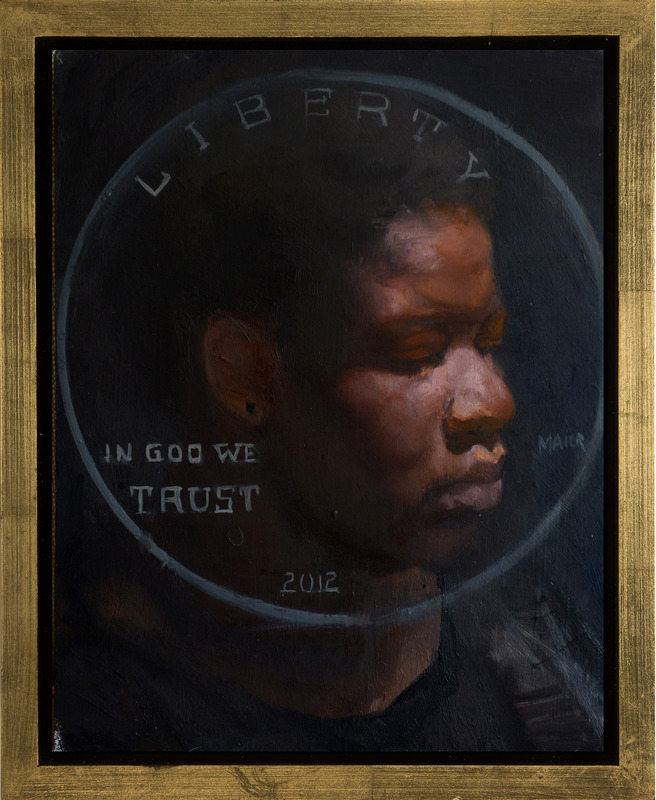 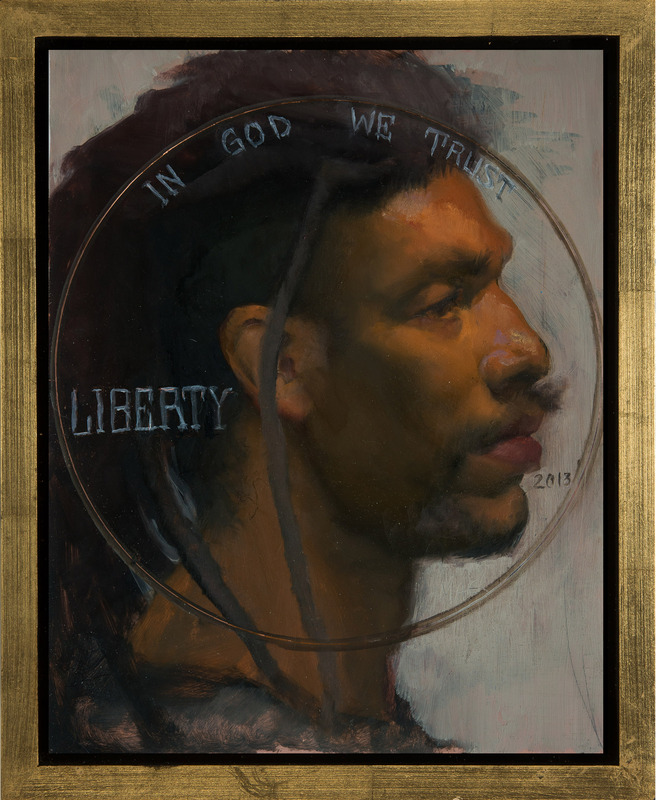 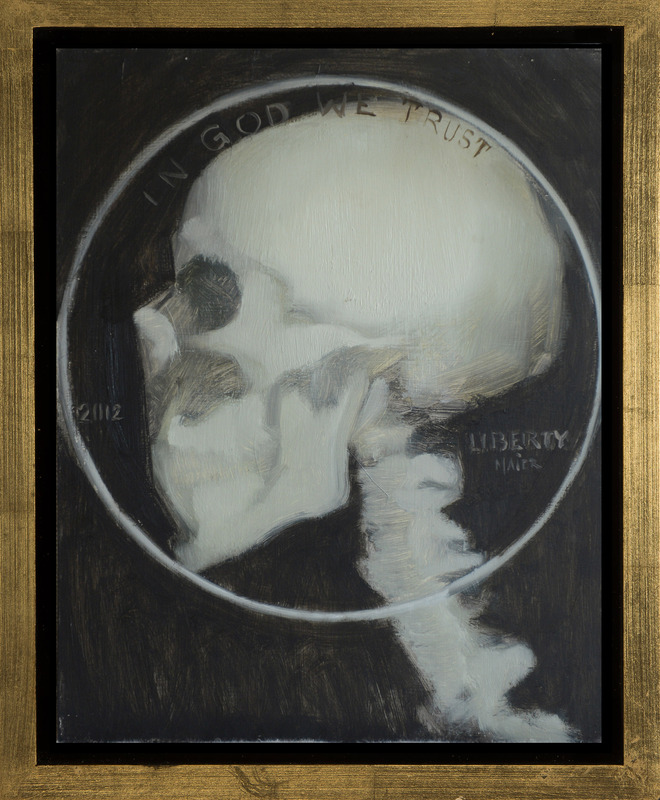 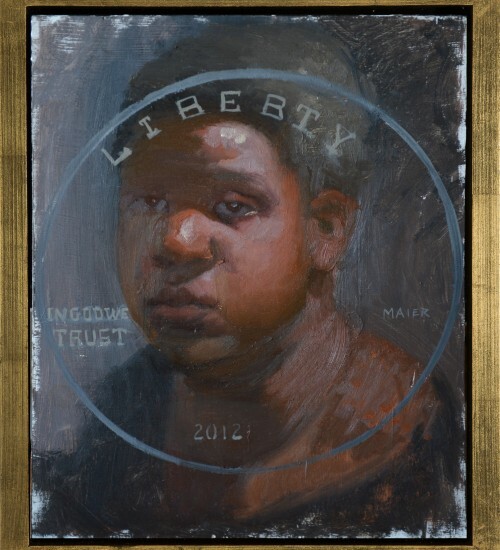 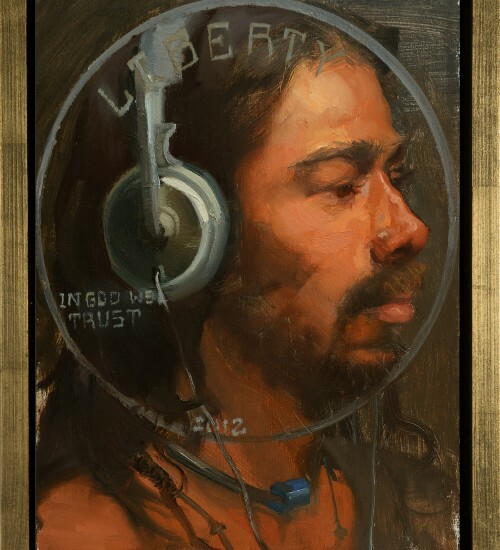 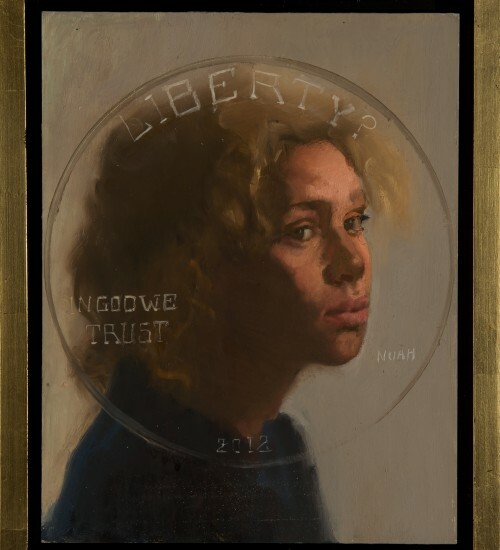 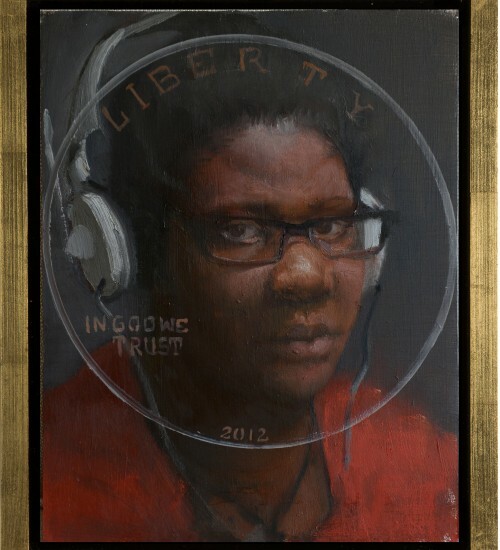 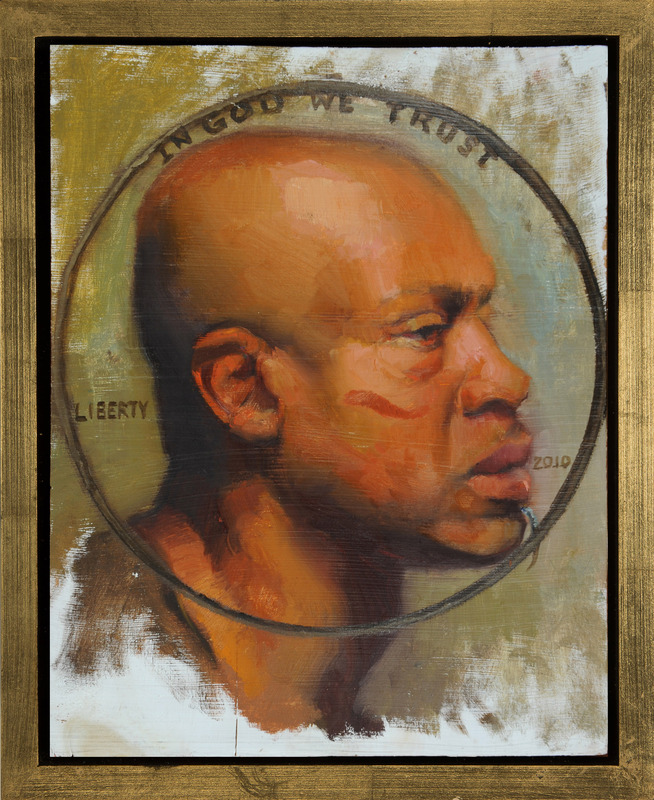 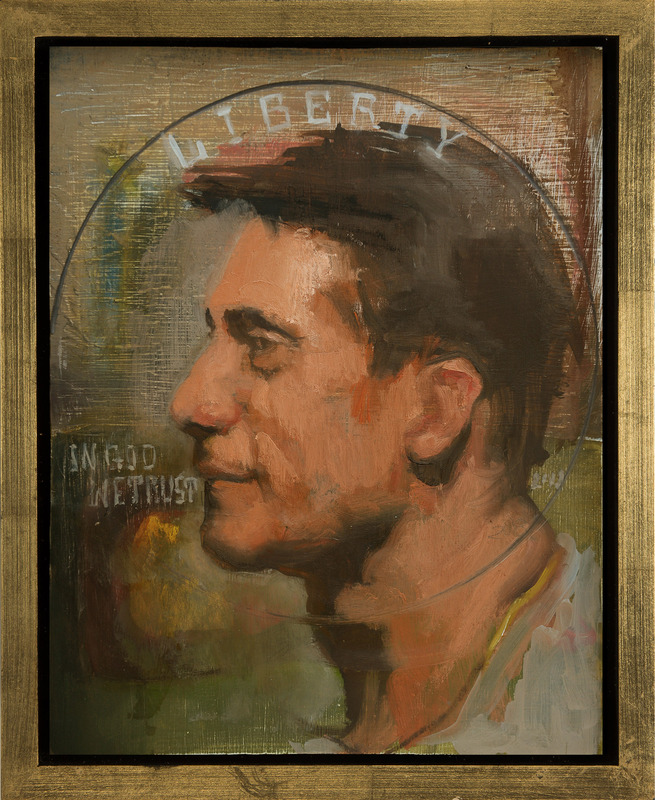 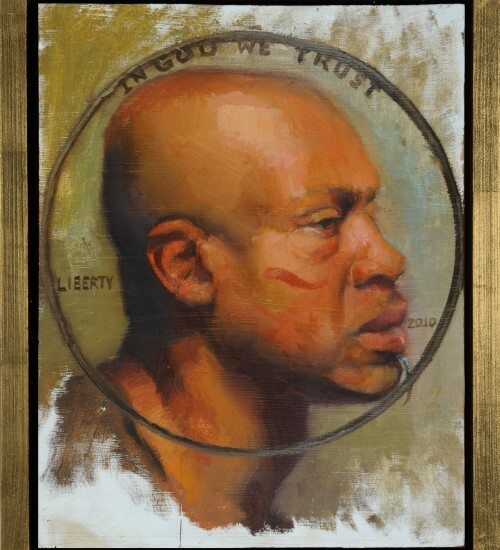 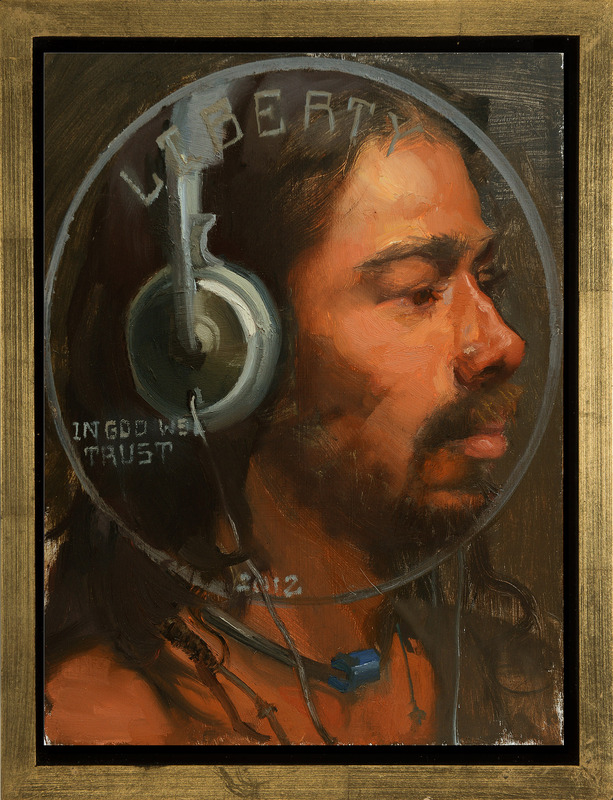 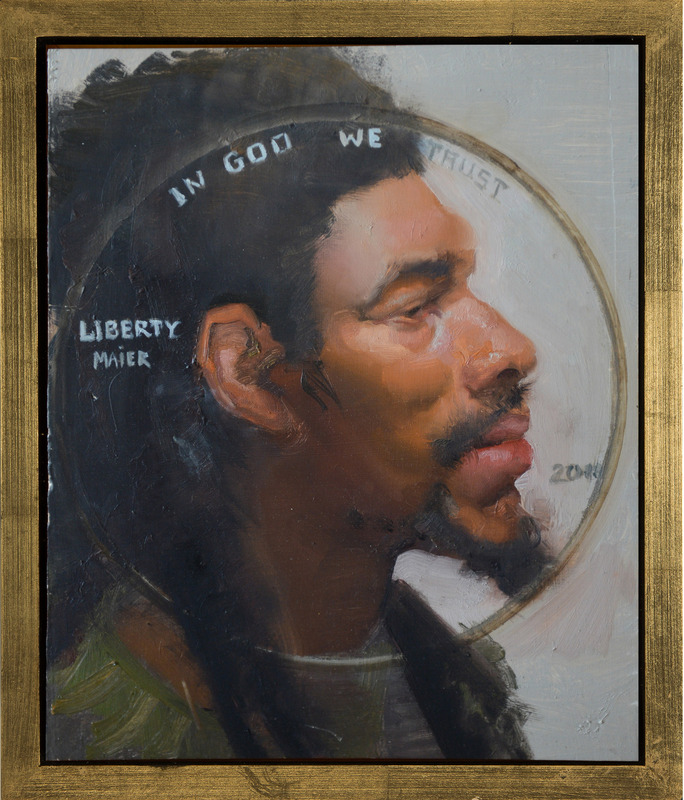 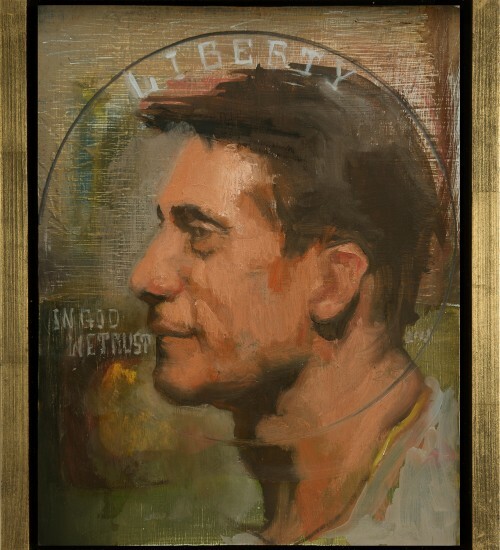 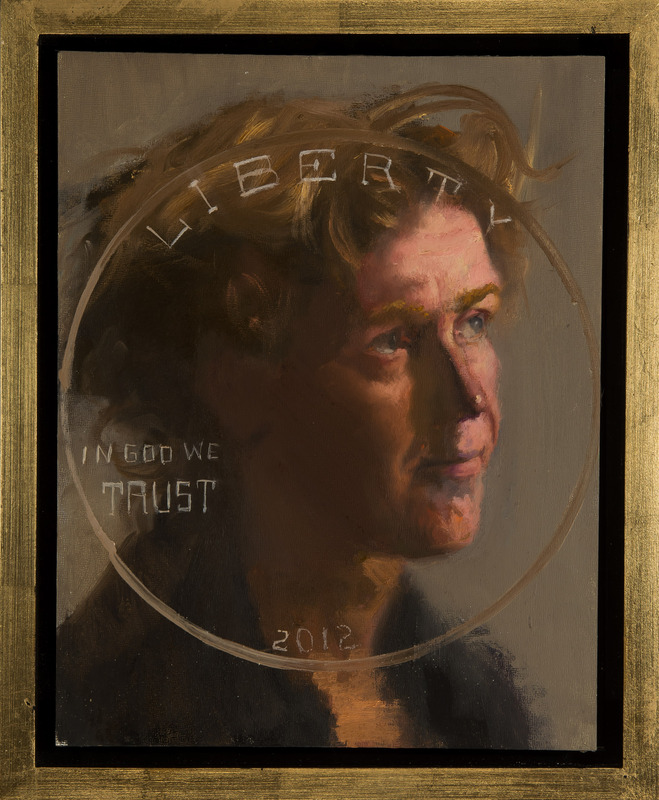 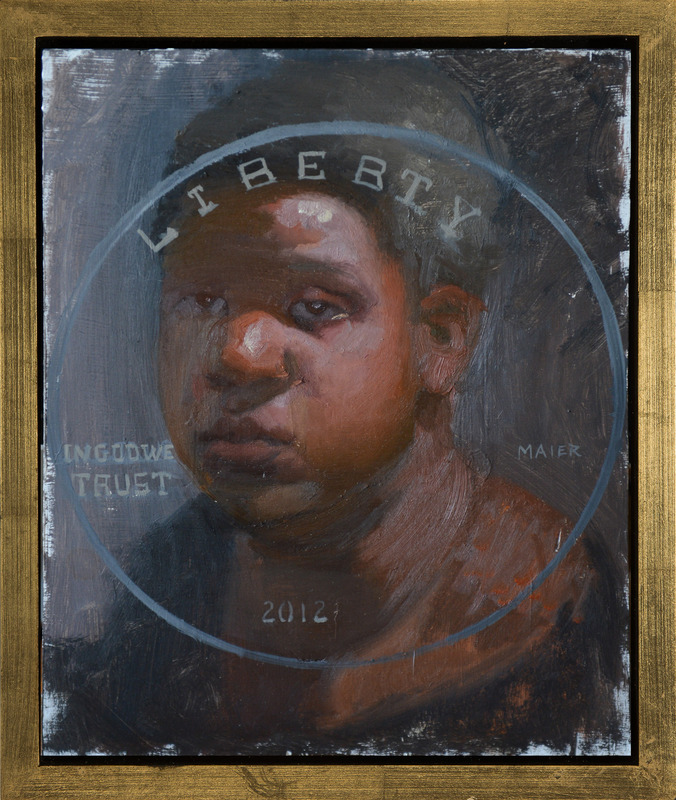 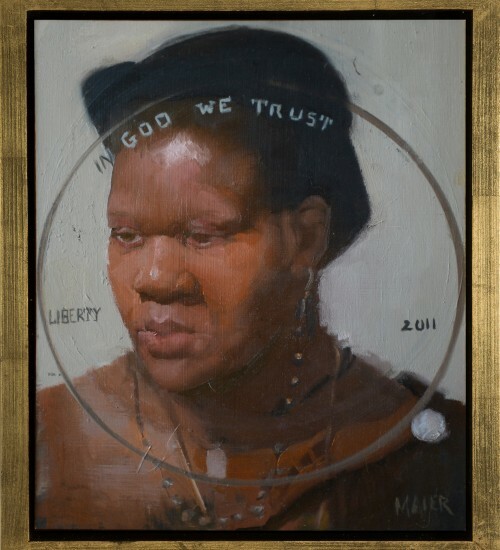 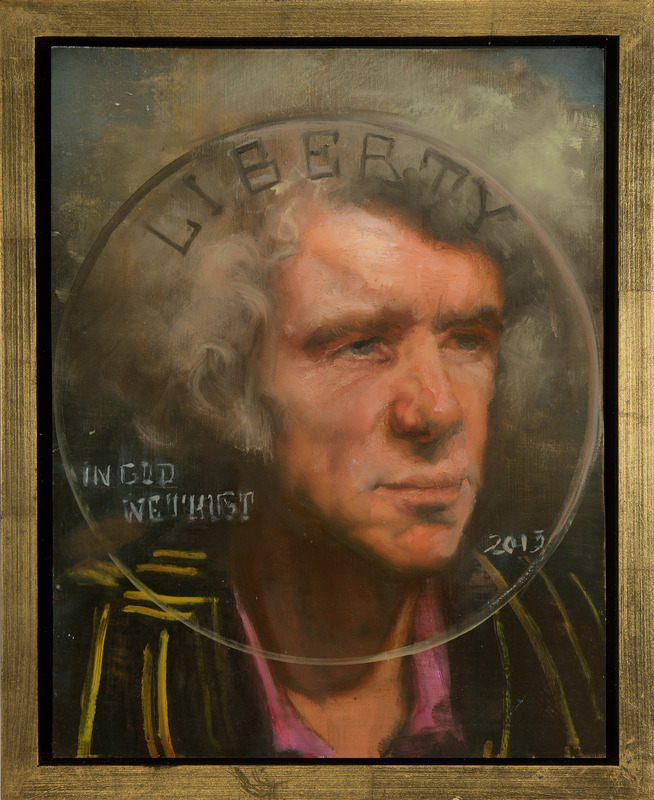 Painted in oil on wood or copper panels, all paintings are in gold floater frames to make it appear that each face, each individual, is commemorated on a US coin. 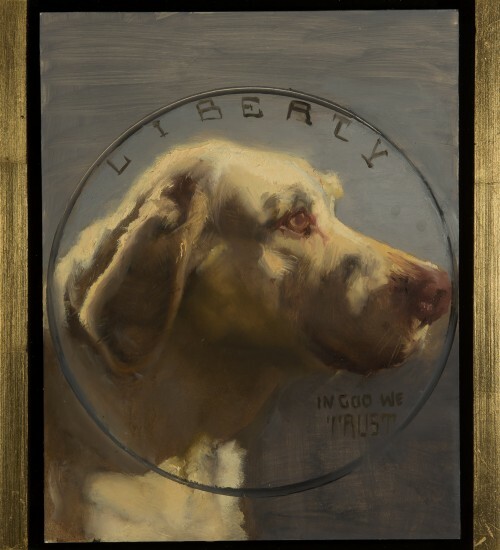 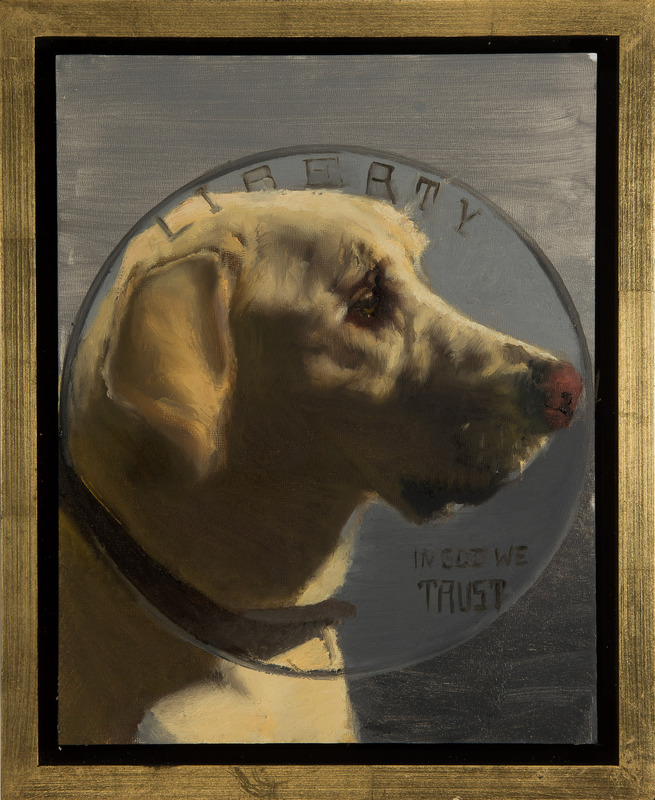 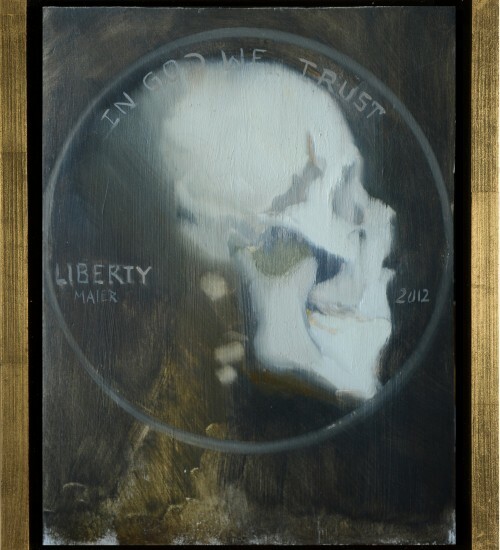 The words “Liberty” and “In God We Trust” line the walls along with everyday extraordinary humans – and animals – for the viewers’ contemplation. 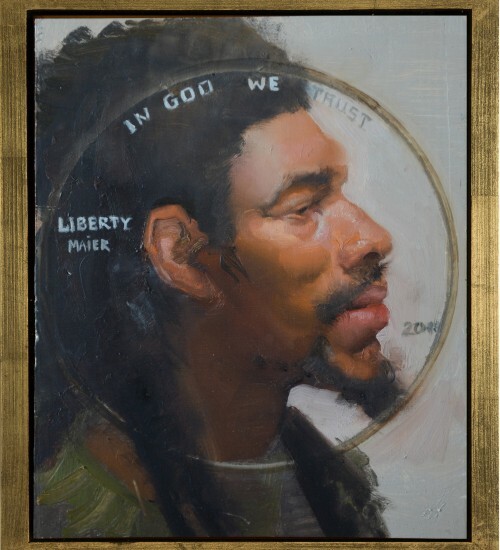 The faces are of different nationalities, ethnicities, ages and histories attached to our country. 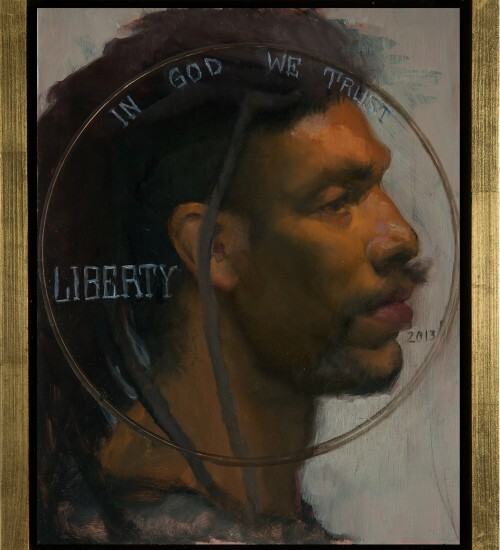 It’s a reminder that we are all worthy of commemoration for our own innate uniqueness. 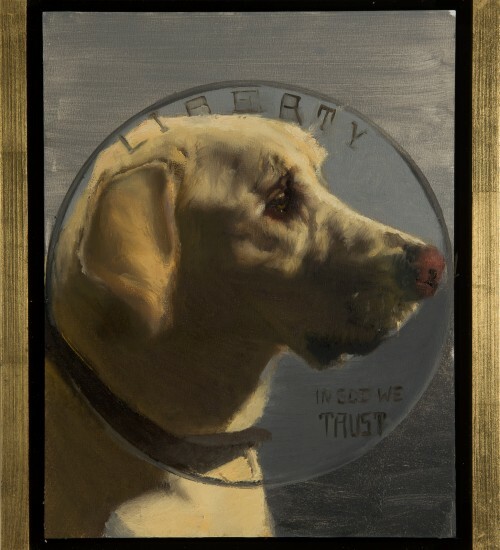 “Currency” reflects on equal worth, the unique in the ordinary – and the abundance that every single one of us deserves. 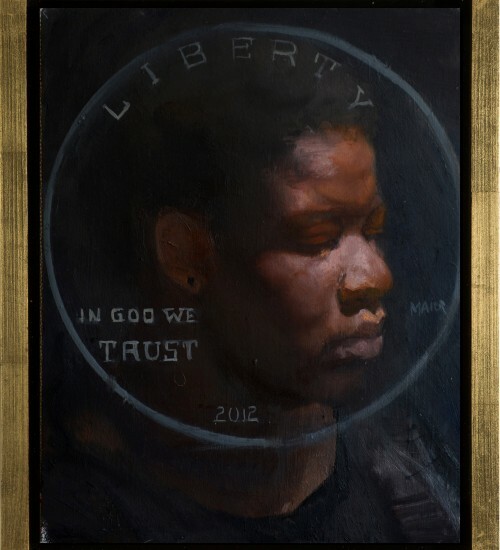 The preferred commission process would be for the model to come to the studio for a first session and professional photo and then for one more life session when the painting is almost finished. 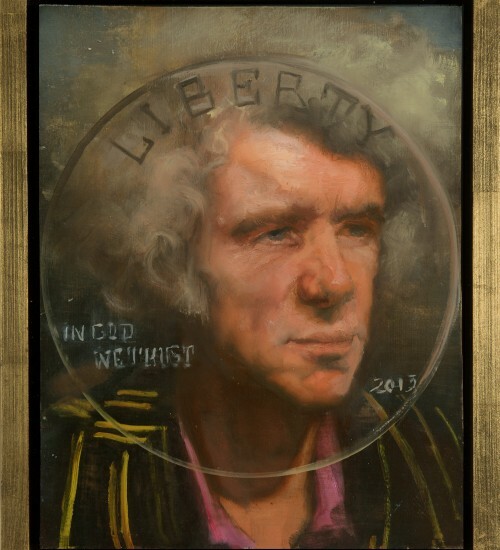 If this is not possible, coin portraits can also be done from a photo.